Our home stay tour in Nepalese villages is one of the best ways to observe and experience Nepalese traditions, customs, and lifestyles. In the home stay tour, you will live in traditional Nepalese houses where you will interact with people, immerse in their culture, learn the local language, participate in the agricultural lifestyle, and observe the local religious practices. The home stay tour is perfect for those looking to gain first-hand knowledge on Nepalese culture. These home stays are located in both remote villages of Nepal, as well as more popular trekking routes. Home stay tourism is pretty much famous these days all around the world and in Nepal too. We, Nepalese people, welcome guest as a god in our villages, and houses. There are many different homestay tours in Nepal, such like in big cities, typical villages, and in a remote part of Nepal. In big cities, you will able to stay in nice well-furnished houses but in villages, we can't expect western amenities. Especially in Kathmandu, Bhaktapur, and Patan homestays are good to learn about Local Newari people cultures, food, and lifestyle. To learn and know the typical Nepal it's better to visit in villages where lifestyle, dresses, living standard, cultures, are still unchanged. 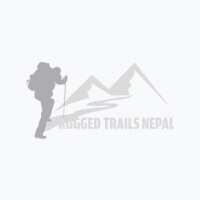 Rugged Trails Nepal founders and co-founders were born and grown in typical villages so we better know how and where to take you. Our founders still visit their village to grow rice, working and farm, and other social cultural activities. We guarantee you that we will make your visit easy and comfortable but we don't want to promise you on our amenities like your home. Come and explore with us in our home, we heartily welcome you to learn, exchange and share our cultures and life. Some trips are not listed on our site email us your interest and length of visit in Nepal we will make as best of you looking for.